New Delhi: The Minister for Human Resource Development, Shri Prakash Javadekar launched in New Delhi today the world’s largest event is its kind- the two day grand finale of Smart India Hackathon 2018 (Software Edition) being held at 28 nodal centres across the country simultaneously. 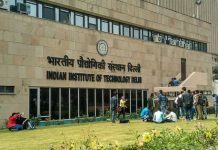 Addressing the participating students at New Delhi Institute of Management (NDIM in New Delhi), Shri Javadekar said that more than 1 lakh students of more than 1200 colleges are participating in this second edition of the Smart India Hackathon 2018, which is a record. He said that more than 8000 students at 28 different centres will work on their final innovations for the next 36 hours. These students will codify their innovations in a group of six, on which they are working hard since last 4 months. Shri Prakash Javadekar also appealed to the students to come out with the solution for making examinations leak proof. He said that this problem is not a subject of this year’s Smart India Hackathon, but asked students to accept this challenge and work on the solution of full proof examination after this Smart India Hackathon-2018. He said that though we are IT Super Power, but Google, Whatsapp, Facebook, Twitter etc are not invented in India although there are India brains behind all these innovations. He said that there are many such digital innovations which are wealth creators and India too needs to come out with such innovations. Shri Prakash Javadekar informed that for SIH 2018, we have received participation from 27 Central Ministries/Departments and 17 State Governments who have sent more than 900 problem statements. After scrutinizing these problem statements, 408 problems (340 for Software and 68 for Hardware) were finally selected for the Hackathon and were put out on MyGov platform. The Minister added that for SIH – 2018, we have received 17400+ teams with participation of around one lakh students of Engineering, Management and MCA. These entries were scrutinized and now 1296 entries are selected for the Grand Finale. 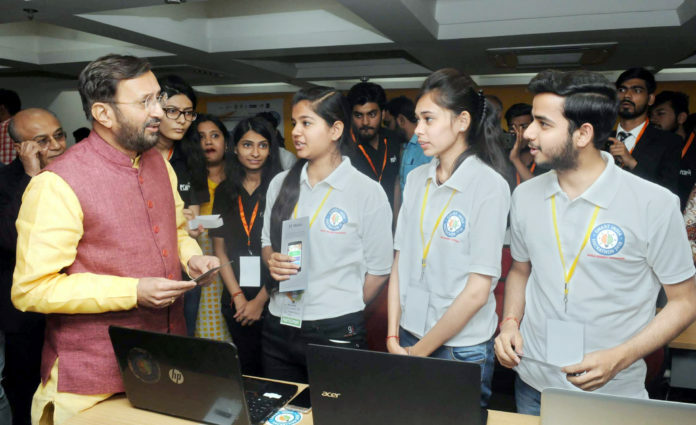 Shri Prakash Javadekar further said that SIH-2018 comprises of two competitions – Software Hackathon and Hardware Hackathon. The final round of Hardware Hackathon competition will be conducted in the month of June 2018.